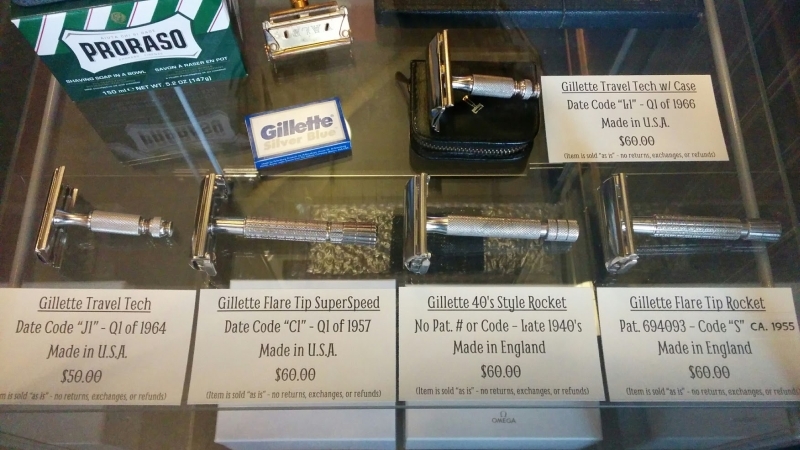 We FINALLY found some vintage Gillette razors worthy of being sold here at The Artful Badger – in stock while they last! We try to keep a good selection of vintage examples on hand, but these are getting harder and harder to find. On that note, feel free to contact us if you have vintage (late 1940’s to late 1960’s) Gillette razors that you would like to sell. We are particularly interested in SuperSpeed, Rocket, Slim, and FatBoy models. Cheers!